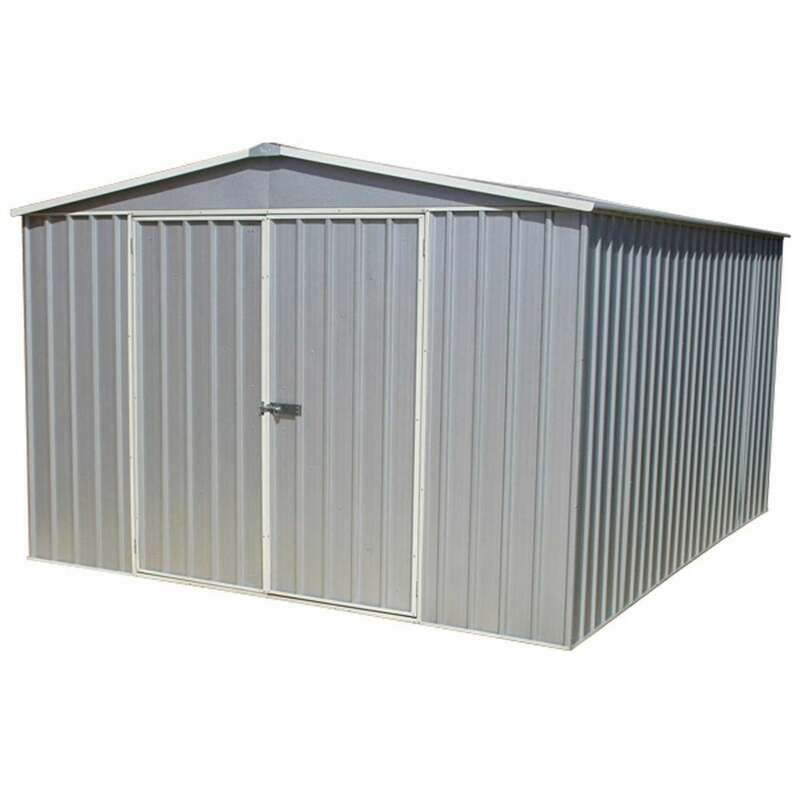 Mercia 9.10 x 12ft Regent Apex Metal Storage Shed Available in Two Colours: The 9.10 x 12ft Mercia shed comes in this grand design, ideal for storing all your garden tools, outdoor furniture and bicycles in this secure building. The outdoor metal shed has braced double doors to provide easy access and features steel framing for added structural support. The Regent apex storage shed is maintenance free as there is no need for annual treatments or paints and it will not split or crack due to frost or ice. The 9.10 x 12ft metal shed is designed to offer many years of service and includes a 20 year guarantee against rust and corrosion penetration.